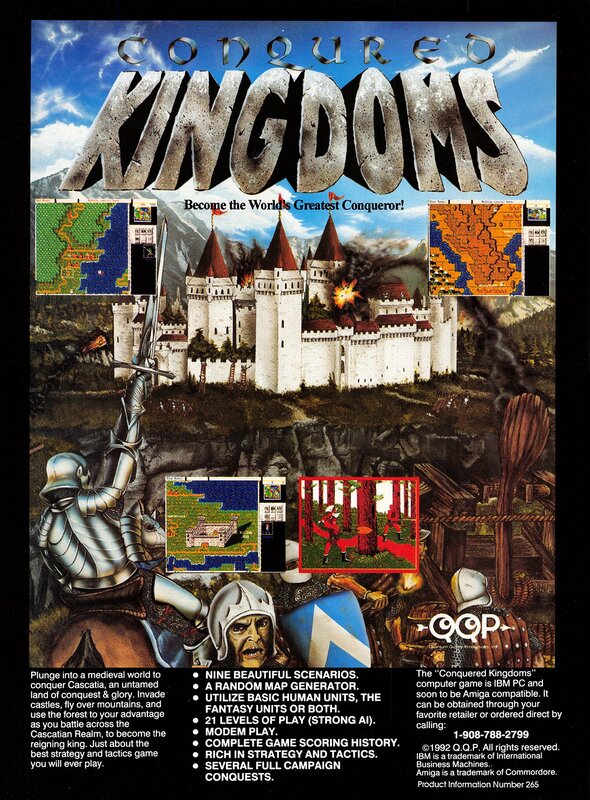 Conquered Kingdoms is a turn-based strategy/tavtics game developed and published by Quantum Quality Productions for DOS PCs in 1992. How embarrassing for them that no one spellchecked the title of their game before commissioning the artwork seen here. Although they DO spell "conquered" correctly elsewhere in the ad and within the game itself, this same artwork with misspelled title actually ended up on the box cover as well. I suppose fixing it wasn't in the budget.